Fill, C. (2005) Marketing Communications - Contexts, Contents and Strategies, 4th edn. Financial Times/Prentice Hall, Harlow. The entire book is recommended for its integration of theory, concepts and practice. Novak, T. and Hoffman, D. (1997) New metrics for new media: towards the development of web measurement standards, World Wide Web Journal, 2(1), 213-46. This paper gives detailed, clear definitions of terms associated with measuring advertising effectiveness. Zeff, R. and Aronson, B. (2001) Advertising on the Internet, 3rd edn. Wiley, New York. A comprehensive coverage of online banner advertising and measurement techniques and a more limited coverage of other techniques such as e-mail-based advertising. • ClickZ (www.clickz.com). Has columns on e-mail marketing, e-mail marketing optimisation and e-mail marketing case studies. • DaveChaffey.com (www.davechaffey.com). A blog of links and articles about developments in interactive communications structured according to the chapter in this book. • E-consultancy.com (www.e-consultancy.com). Best practice sections on different e-commu-nications tools and newsletter features interviews with e-commerce practitioners. • Marketing Sherpa (www.marketingsherpa.com). Articles and links on Internet marketing communications including e-mail and online advertising. • What's New in Marketing (www.wnim.com). A monthly newsletter from the Chartered Institute of Marketing including many e-marketing features. • Direct Marketing Association UK (www.dma.org.uk). Best practice guidelines and benchmarks of response rates. • DoubleClick (www.doubleclick.net). An e-mail broadcaster and advertising network worldwide, with offices in many countries. Its site provides research of ad and e-mail marketing response rates across its clients. • Atlas (www.atlasdmt.com). Ad-serving and tracking provider with research about ad effectiveness. • ClickZ (www.clickz.com/experts). An excellent collection of articles on online marketing communications. US-focused. Relevant sections for this chapter include: Affiliate marketing, Advertising technology, E-mail marketing, Media buying. • eMarketer (www.emarketer.com). Includes reports on media spend based on compilations of other analysts. • EyeBlaster (www.eyeblaster.com) is one of the main providers of rich media ad serving technologies. Its galleries have good examples. • iMediaConnection (www.imediaconnection.com). Media site reporting on best practice in online advertising. • Tangozebra (www.tangozebra.co.uk) is a UK-based provider of ad-serving technology which showcases many of the most recent ad campaigns by industry category. • Searchenginewatch (www.searchenginewatch.com). 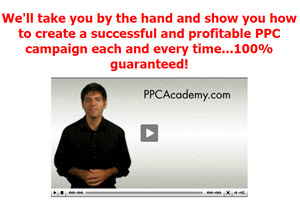 A complete resource on SEO and PPC marketing. • Webmasterworld (www.webmasterworld.com). A forum, where search practitioners discuss best practice.